From September 20th through the 29th in New York City the love of animals will be celebrated through art thanks to the creative vision of curator/writer Alix Sloan and the generosity of AFA Gallery. “Awakened,” an exhibition and fundraising event inspired by pet companions that brighten all of our lives, will take place at AFA in the SoHo neighborhood of New York City. A portion of the proceeds from every sale will be donated to Adopt-a-Pet.com, which will help us to help the many thousands of homeless pets we serve. For this special ten-day exhibition, curator Alix Sloan has challenged over sixty artists to create works inspired by the powerful impact of animals in our lives and homes. This exhibition holds a special place in Sloan’s heart as it also serves as a celebration of the completion of Alix’s novel “Pet Sitter: A Jenna Stack Mystery,” a labor of love co-authored with writer Amy Eyrie. 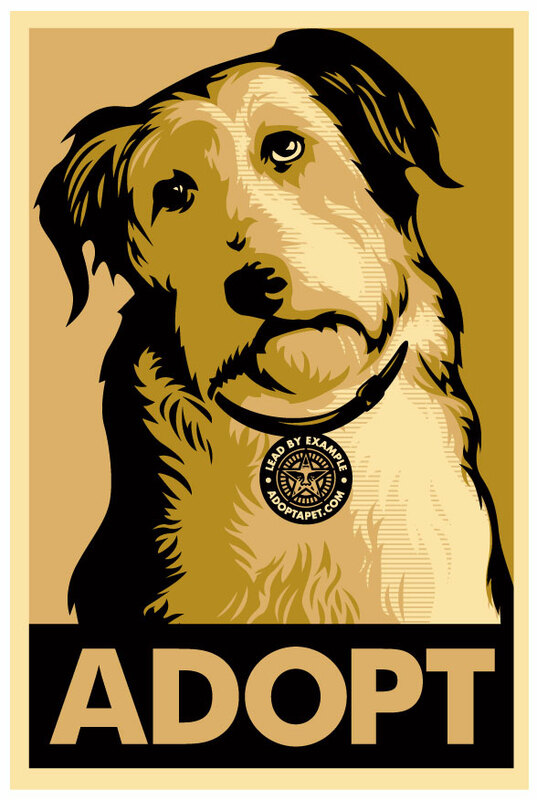 In addition to the exhibition of original artwork, the cocktail reception – held September 22nd, 2012 from 5pm-8pm – will also feature hard to find prints (including the now-famous ADOPT image created by Shepard Fairey for Adopt-a-Pet.com!) in a live auction led by our very own Pia Salk. For an invitation to the reception or for more information about the exhibition and to find how you can purchase or bid on featured art from afar, please visit afanyc.com or contact AFA at info@afanyc.com or 212-226-7374 or Alix Sloan at alix@sloanfineart.com.